The Best Success SMS. Use image quotations as wallpapers, backgrounds to help inspire and keep pushing forward towards your dreams. 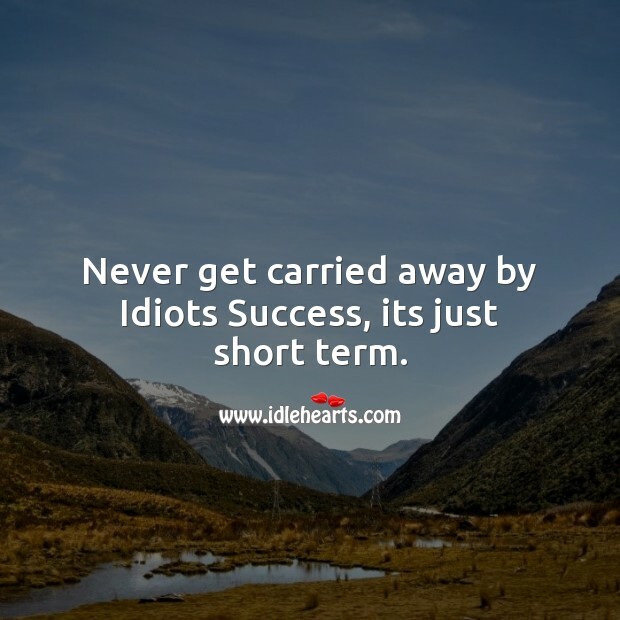 Never get carried away by Idiots Success, its just short term.